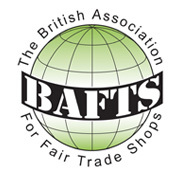 The British Association for Fair Trade Shops (BAFTS) is comprised of a large group of independent shops that work hard to improve the conditions of Fair Trade producers in a number of countries around the world. Their continual work involves helping improve working conditions as well as ensuring that the workers who produce the goods are paid a fair price for their labours. Fair Trade producers make a vast range of goods such as furniture, clothing, jewellery and toys, all of which find their way into shops that wholeheartedly support the ethos behind BAFTS. Lanka Kade is just one toy supplier that sources most of their products from small craft ventures in Sri Lanka. An increasing number of customers are positively seeking out shops that belong to BAFTS in order to demonstrate their support for helping less well off communities in countries like parts of Africa, Asia, the Caribbean and Latin America. BAFTS is extremely pro-active in their quest to drive forward the improvements that are required, and this is backed up by their slogan “Promoting fair trade retailing in Britain”.